IFF (International Flavors and Fragrances) is a leading global innovator of sensorial experiences and creates unique scents and tastes for fine fragrances & beauty, household goods, foods and beverages. IFF has ambitious plans for growth, and their commitment to creativity and innovation has perfect synergy with Accent’s core values. IFF approached Accent at the concept stage of this large-scale workspace build and refurbishment project in Hamburg, Germany. With Accent’s extensive knowledge and wide network across Europe, we could quickly build a cohesive team to carry out a series of initial feasibility studies for this 18,000 ft landmark project. Further to the research and planning phase, we were delighted to become IFF’s trusted partner to deliver the project and ensure that every EU requirement is met from concept to completion. 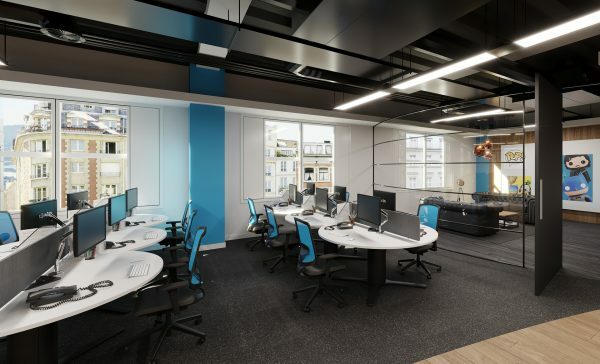 Led by Accent’s Sales Director, Murray Hibbert, our team appointed both German and UK contractors to develop a detailed project specification and phased project plan, alongside budget details, and a set of designs to develop this new and inspirational workspace for IFF staff. Challenges included getting an in-depth understanding of official German health & safety, planning and construction regulations which differ from UK legislation. It has also been a challenge to successfully operate in what is known as an ‘over-heated’ economy, that is affecting some parts of the German construction market. However, with our expert team of designers, technical partners and planning specialists, we have progressed the project to its construction phase on time and to budget, and work began at the end of February 2018. The build phase is large and complex with structural issues to consider and major construction work to complete the full refurbishment &build on both office and technical spaces. The project is progressing in line with our schedule of works and the client relationship continues to strengthen during this key phase of development in the project. Using our inspirational vision and creativity, together with IFF, we’re building an engaging space where IFF teams will love to work. In today’s climate across Europe, more and more businesses are recognising the need to design workspaces that build on team cultures. Workspace design has been proven to have a direct influence on employee engagement, employee retention and can increase loyalty and productivity. Ultimately Accent is passionate about creating innovative workspaces across Europe that breed success. If you’d like to know more about the work we do at Accent, please get in touch with us. 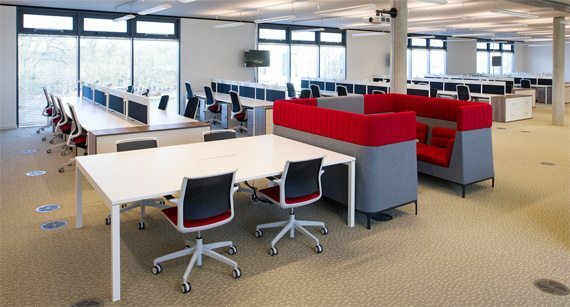 We’d love to help you with your next workspace project.